7/10 | Wanna Catch a Movie? It really that wasn’t long ago. When a young, white, wanna-be journalist decides to write a book about black maids from a notoriously dangerous and racist town, she doesn’t realise the real extent of what she’s getting herself into. 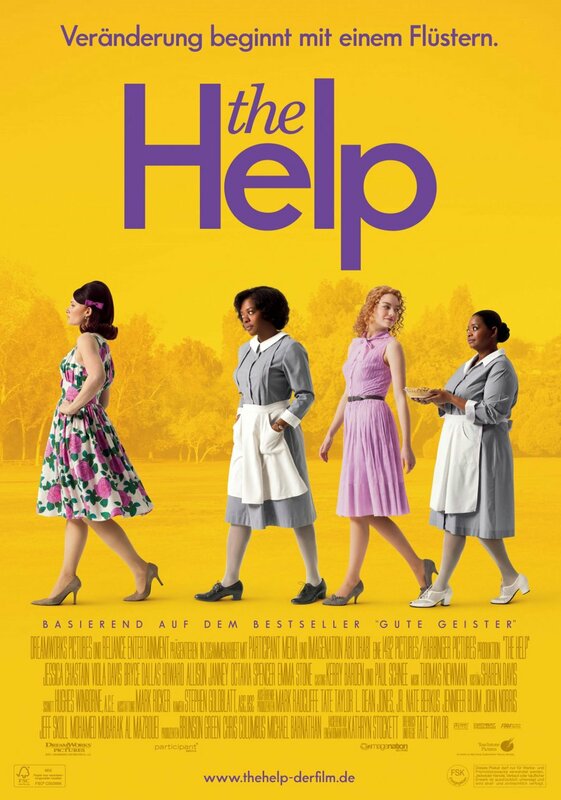 Set in 1960s America when there were massive amounts of segregation, The Help is a beautiful story that deals with the hostility and unbearable strife that black people faced – especially that of the maids – in Jackson, Mississippi. Having read the book I was really excited about watching the film, albeit a bit apprehensive. Films often tend to miss capturing the true emotion conveyed in a book but The Help was not a disappointment and with the amount of awards it has collected, I’m definitely not the only one who thinks this. The first thing that has to be said about the film is how great the performances were. Viola Davis in particular was a favourite. Her portrayal of Aibileen, one of the main focuses, was really brilliant. It’s exactly how I imagined her to be and she really manages to convey some real heartfelt emotion. The next actor who had me really impressed was Emma Stone who plays Skeeter, the journalist who really wants to see a difference in society. Having been raised by her maid rather than her mother, Skeeter has a real care for these women and the way they are treated. She is a bit naive in terms of how serious the issue of writing the book is and how threatening the consequences will be if she’s discovered. Stone does a great job and it’s fantastic to see her in a more serious role rather than her usual comedic one – even though she does bring a few laughs with her. There were other great performances from Bryce Dallas Howard as Hilly Holbrook and Jessica Chastain as Celia Foote. They all leave a lasting impression and really do manage to capture the feelings that were around in those times, although occasionally it seemed a bit lackluster or fickle. While in some cases they could have been stronger in their performances, it seemed the script was really holding them back. I have no doubt that they had it in them to play their roles more in line with the true mentality of white women at that time, but then it’s the director who really has the last say. Other notable roles came from Sissy Spacek as Mrs. Walters and Allison Janney as Charlotte Phelan, their roles as older women meant their behaviour was more inclined to be racist and less open minded, they both did a great job with this. The things that I felt could have been changed to increase the quality of the film are probably what Hollywood voted against. Even though it is a whopping 2 hours 20 minutes, I felt they missed out some of the story or glossed over some of the more tackling issues. Some of its racial themes were merely brushed at surface level and in some cases, not given the attention they should have been. It’s things like this that needed attention to really secure it as a serious film that dealt with racial issues. Instead I think they were trying too hard to make it a commercial success. So either it could have been longer to fit in these qualities and risked becoming too lengthy, or it could have been tighter and more concise in its script. However the length it sits as was good in terms of the audiences attention span and interest, my minor annoyance isn’t really about the length, it’s really to do with overall content. The Help is a great film that tries to show its audience the other side of things. While it seems to care more about commercial success rather than content in some cases, this, just like the amount of attention given to its more serious racial themes, can be looked over. Davis and Stone are fantastic and if you’re given the opportunity to watch it, I’d say don’t miss it. This entry was posted in Film Reviews - H and tagged 1960s america, 2011, 7/10, Ahna O'Reilly, Allison Janney, Anna Camp, bryce dallas howard, emma stone, film review, jessica chastain, maids, Octavia Spencer, the help, Viola Davis on February 22, 2012 by Jen Horsman. This must be one of the hardest games of hide’n’seek ever. Ree Dolly is on a mission to locate her father, a deadbeat druggie who has declared his house as his bail-bond. With a severely depressed and unresponsive mother and 2 younger siblings to look after, Ree has struggled to keep her family intact, especially with no income. Now with the threat of being kicked out of their house, Ree must find her father and persuade him to make his court date otherwise they’re out on their heels. Winter’s Bone is a truely unfinching and harsh film. Set in the Ozark Mountain’s, this hillbilly/ horror/ drug type genre takes no mercy. As Ree searches from one place to the next place, each less inviting than the one before, we are shown the lengths that these ‘clients’ of her father will go to, to keep Ree from finding the truth. It ain’t pretty. Ree is stubborn and tough, especially for a 17 year old, which often leads her into dangerous situations, but this is when we see her honest and true love for her family and their welfare shine through. John Hawkes, who plays the terrifying Teardrop, does so with an ease and excellence. Maybe my favourite role in the film, he’s unforgiving, intense and completely nuts. Jennifer Lawrence also pulls off what I believe to be her best role yet. The connection between Ree and her 2 younger siblings who she’s having to raise is so natural and honestly a complete joy to watch. This little family is so tightly knit and has so much potential, the scene where Ree is teaching them how to shoot a crossbow is my favourite. The three of them were cast perfectly and this scene is a prime example of this. Winter’s Bone, while in places seems slow paced, is full of a vibrancy intertwined in its dull setting. The stark background, out in the country and lacking the technology that seems to overwhelm modern day films, really does it a favour. It allows the story to be told boldly and nothing distracts from its harsh facts, the winter background is the perfect fit. While it won’t be for everyone, you can’t deny this film does a great job. From the story to the setting to the casting of some great actors, Winter’s Bone is a fantastic film that allows Lawrence to shows us her stuff. Hopefully we’ll be seeing much more of her in the future. 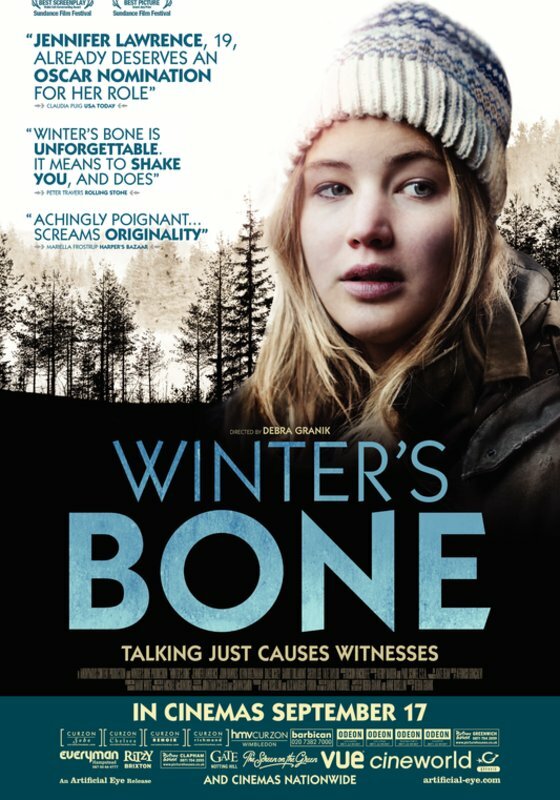 This entry was posted in Film Reviews - W and tagged 2010, 7/10, drama, film review, Garret Dillahunt, jennifer lawrence, John Hawkes, mystery, thriller, winter's bone on December 20, 2011 by Jen Horsman. After another night at the pub bitching about their bosses, 3 best friends Jason Bateman, Charlie Day and Jason Sudeikis all fantasise about how much easier their lives would be if they could just kill their bosses. Quitting is not an option and so with the help of ex-con Jamie Foxx, this hypothetical world soon turns real. Turns out killing your boss isn’t as straight forward as you’d think. Bateman, Day and Sudeikis carry the film. They’re the leads so obviously it’s their job. Pulling their camaraderie to the forefront though and letting it play out was the best thing that director Seth Gordon could have done. While the story falls thin in some places, this bond and friendship between the 3 – which according to the outtakes must stretch past the workplace – holds the film together. As individuals the trio all do their bit. They each have their own quirks and they all muster laughs throughout. They are all known to be funny guys though so it came as no real surprise that they performed well and got what they needed from the audience. Farrell plays a sleazy, drug addict who is the son of Sudeikis’ previous boss. With his non-existant work ethic and power mad attitude, he is a nightmare to work for. I’m still trying to get over his horrendous combover and pot belly – both attributes that Farrell suggested his character should have. Farrell does a fine job in this role. Though all he had to do was look spaced out and act as a sleazebag for most of the film, he does it well. Aniston really surprised me. I’m so used to her being typecast in good girl roles (thanks to her Friends days) that when she appeared with a potty mouth and no shame, I was taken totally off-guard. It was nice to see this change of pace and it definitely allowed for her to act outside of her comfort zone. Spacey is great as a creepy, paranoid freak Dave Harken. Between having a pretty wife at home who he believes is having an affair and running a massive business which he is both President and Vice President of, he always is full of suspicion about things that could threaten his position both in and out of work. Spacey plays Harken well and I did like him in this role, though he’s always been good at being a bad guy. While some areas of the script could have been tighter and it slightly loses it’s focus towards the end, Horrible Bosses is a fun film that gives space for a trio of good comedic actors and many laughs along the way. This entry was posted in Film Reviews - H and tagged 2011, 7/10, Charlie Day, colin farrell, film review, horrible bosses, jason bateman, jason sudeikis, jennifer aniston, kevin spacey on October 17, 2011 by Jen Horsman. Leonardo DiCaprio is Roger Ferris, a member of the CIA on a mission to locate the head of a jihadist terrorist organisation, al-Saleem. 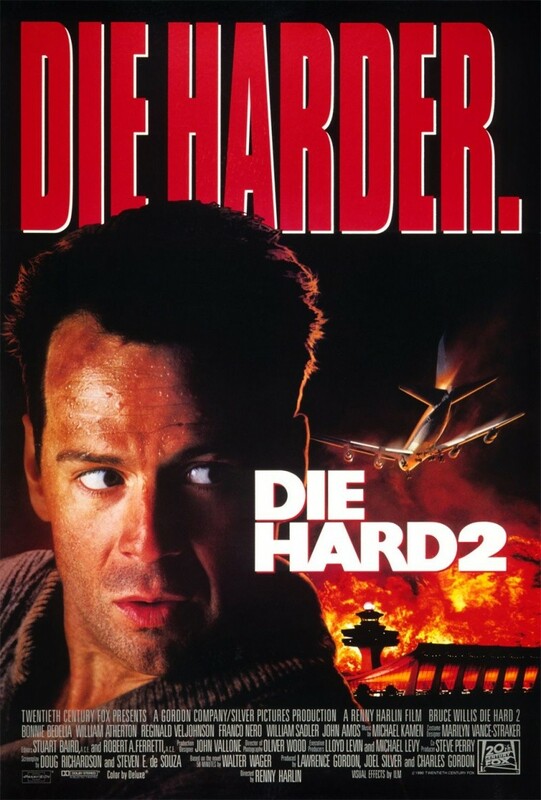 While he works in Israel, Ferris must communicate with his CIA superior in America, Ed Hoffman (Russell Crowe) as well as the head of Jordanian Intelligence, Hani Salaam (Mark Strong). He soon discovers that cooperation between such authoritative agencies isn’t as straight cut as he first anticipated. With the war on terror being depicted in film on an increasing basis, I enjoyed the change of pace in Body of Lies. By following one character throughout there was a clear focus to the film and the objective was always a something that was foregrounded. DiCaprio and Crowe are fantastic in their roles. Obviously they are both great actors but with such a concise script they transcribe a very realistic portrayal onto our screens. 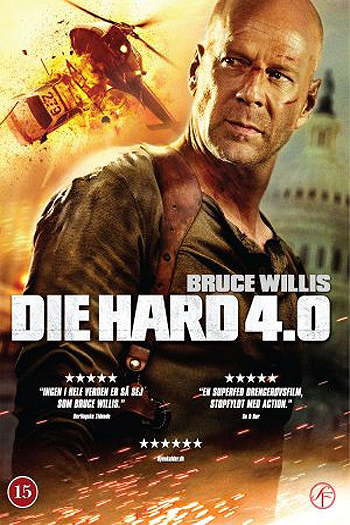 There were sub-plots weaved throughout and little twists and turns adding to the levels of action and entertainment in the film, but also enforcing the message that corruption occurs at all levels of authority. In the film the CIA used highly advanced spy equipment to track people, this level of big brother intrusion was quite unnerving. There is no doubt in my mind that technology like this exists, especially when Google Earth is available to anyone. The use of this spy equipment was very eye opening in showing a glimpse into the power that the government have, and that’s just the things we know of. 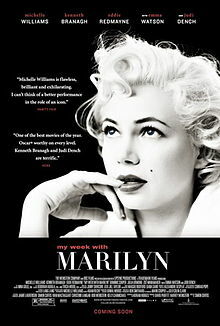 Though I really enjoyed the film I was a bit disappointed with how it began to shape into a typical espionage thriller. The end also seemed a bit rushed with no real sense of conclusion. I suppose this was to give the most realistic outcome to a film with terror at its core though. Just because they have this technology available doesn’t necessarily mean they can always catch the bad guy. It’s easy to draw conclusions between al-Saleem and Osama in the film, so I think this ending was deliberate. Regardless of the increasing James Bond-esque action scenes, I really enjoyed the film, especially the cinematography which was fantastic. From the back alleys and crammed markets of Israel to the suburban, picturesque shots of America, the film made sure to draw a stark contrast between two places that are so closely related. 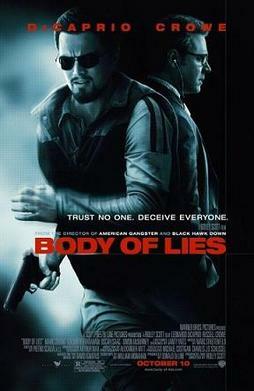 Apart from it slipping into areas of Hollywood blockbuster predictability, I think Body of Lies is a great film that depicts the on-going war on terror. This entry was posted in Film Reviews - B and tagged 2008, 7/10, body of lies, cia, film review, israel, jordan, leonardo dicaprio, osama bin laden, russell crowe, spy, terror, thriller on September 3, 2011 by Jen Horsman.